There have been several amazing stories recently of lions rescued from terrible conditions abroad – including an airlift of 33 cats from South America – but none of them as pull-on-your-heartstrings as the tale of young Lia, who arrived in South Africa from Egypt last week. 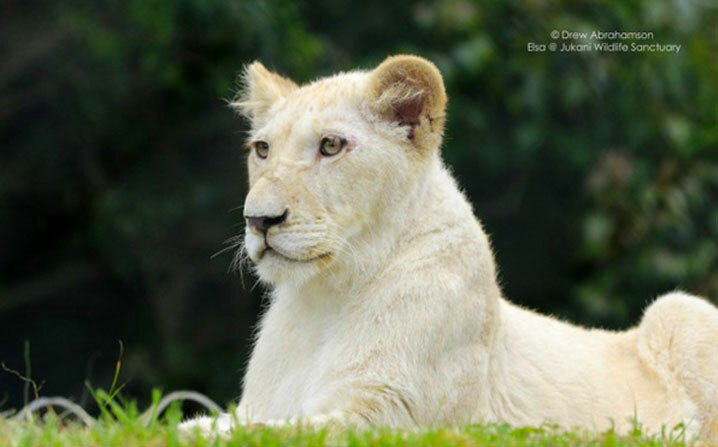 Abrahamson, owner of Captured in Africa safaris, who has helped save at least eight lions (with one in the pipeline from Spain), was instrumental in bringing Lia to Jukani Wildlife Sanctuary near Plettenberg Bay. Lia is very malnourished and, as a result, has a fractured shoulder, and you can see in the video that she walks with a limp. 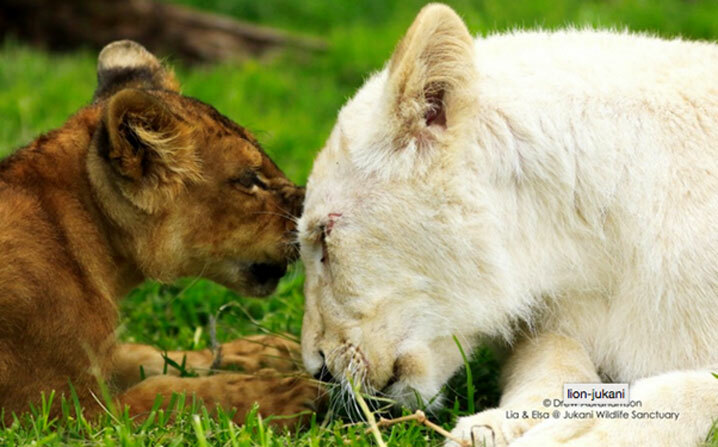 Caption: Lia and Elsa at Jukani Wildlife Sanctuary. Lia is a tawny six-month-old lioness that was kept in a small cage in Cairo which was normally used for chickens. She was saved by a businessman, Hesham Sheta, who bought her and then tried to find her sanctuary in South Africa. It took four months for the transfer to take place, according to safari tour operator Drew Abrahamson, because of CITES permit applications, veterinary health certificates and rabies vaccinations. Caption: Elsa at the breeding facility she came from in Johannesburg. Though half a year old, she is the size of a three-month-old. Her prognosis is very good but she may always be a little smaller than a lion her age. She is on a strict diet with extra vitamins minerals and calcium to help develop her bones. Abrahamson says that Lia will hopefully heal with the help of (and help heal) Elsa, another lion that came to Jukani at the same time as her. While Lia is undersized yet trusting, says Abrahamson, Elsa is healthy but needs emotional work and lots of love. 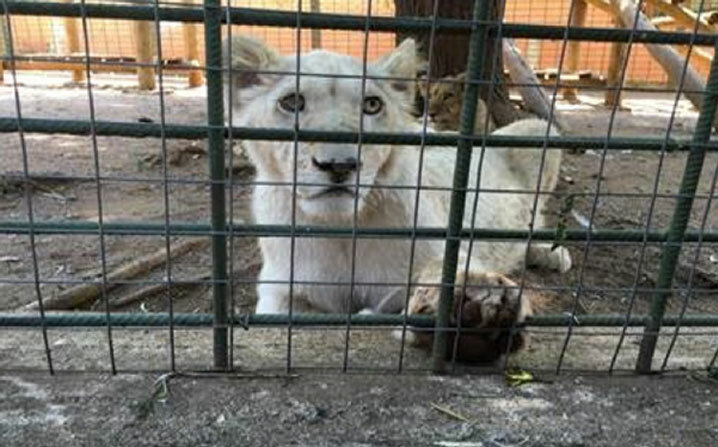 According to Abrahamson, Elsa, a 9-month-old white lion saved by Maxine Prins, was being kept at a breeding facility near Johannesburg in “the most shocking conditions I think I have ever seen”. Abrahamson says that several of the lions that she has helped find homes for come from the volunteers at breeding farms, who see what is happening at the facilities and then start covertly working to liberate the cats, so to speak. They pay for them with their own money. One of them is called Blind, which he is, but they renamed him Joseph. 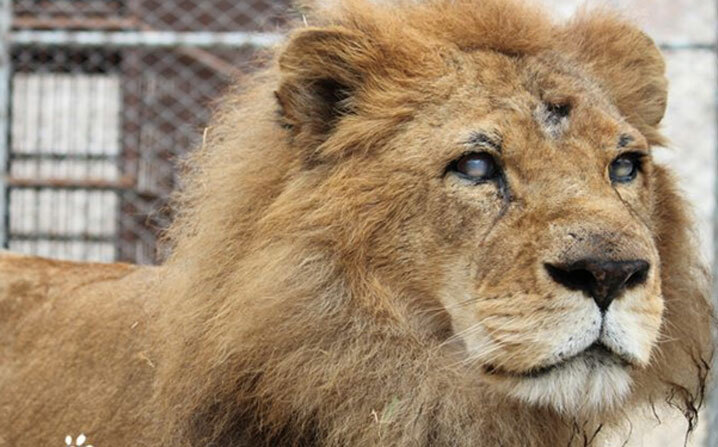 Caption: The blind lion who has been renamed Joseph will join the others going to Emoya. 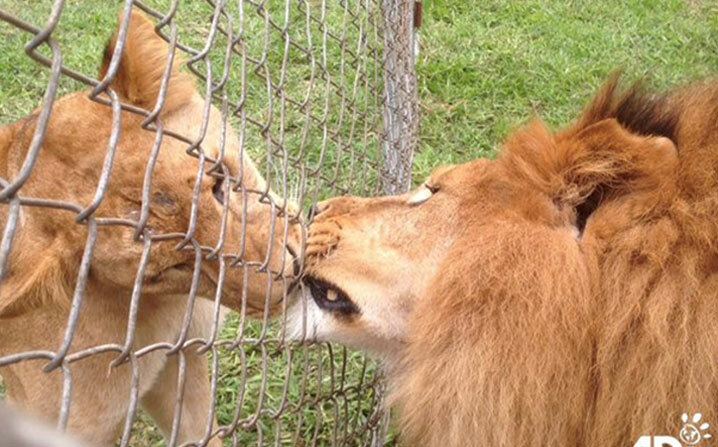 Also among the lions are Kiara and Rey, who were rescued from a circus in Cusco, Peru. “Ten days later we raided the circus again saving their cubs, Scarc and Mahla and Smith (and Pepe the spider monkey),” ADI said. Caption: Kiara and Rey, waiting to be sent from South America. One news report said that the lions were abused for years, often being fed a meagre diet of chicken feet, and only ever briefly escaping tiny cages to provide a spectacle for circus-goers, but now they are being nursed back to health before their flight to South Africa.